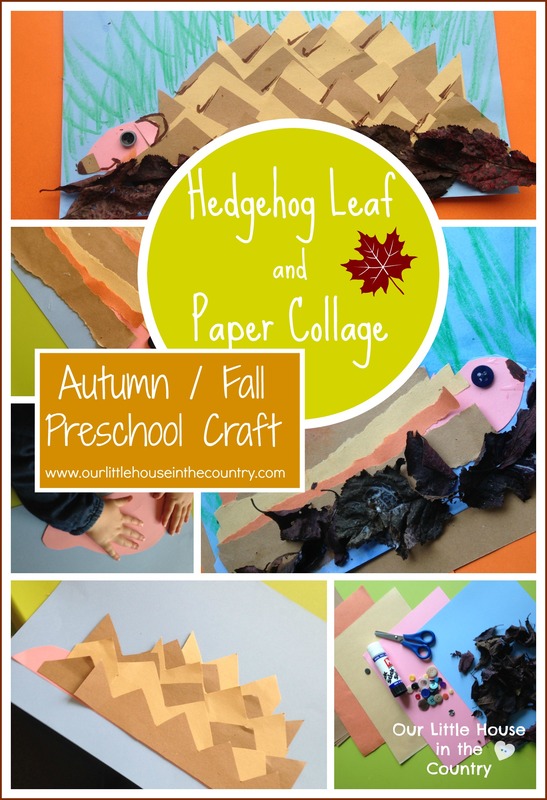 Hedgehogs always remind me of Autumn, and these collages are a lovely, simple preschool Fall activity to celebrate the season. We have a hedgehog who regularly helps himself to our cat’s food at night before hibernating for the winter, so my kiddies were delighted to create their own paper version of “Hedgy”, our little prickly buddy! We have lots of other autumn activities for you to try in our Seasonal section of the blog. 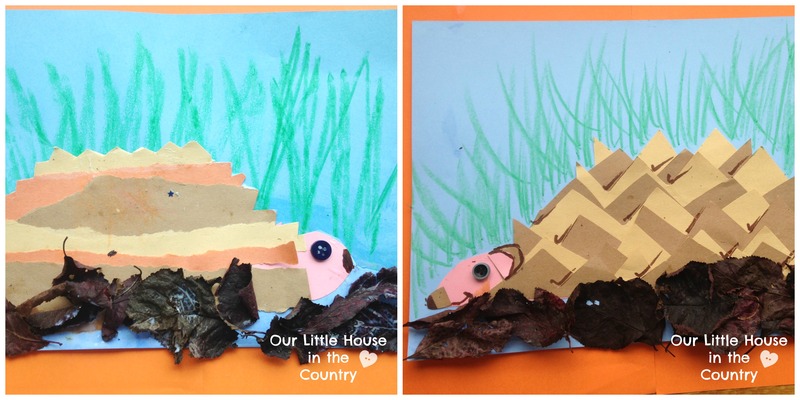 I helped the children to draw a rough shape of a hedgehog using the card – basically a mound with a snout! On a piece of blue card we drew lots of grass using green crayons before sticking our hedgehog shapes onto the grass. For younger children simply tearing the sugar paper into strips (length of the body) can create a great effect for the prickles. For children with good cutting skills, encourage them to cut zig zags to create a “crown” shape. Starting at the top, stick the strips onto the body, overlapping each strip, using an alternate colour each time. Draw a snout/nose and eye onto the face or use a button for the eye like we did. We also added little ears. Using leaves collected from the garden, stick them along the bottom of the piece of card so that the hedgehog looks as if he is scurrying through the fallen leaves. Mount on autumn coloured paper or card, we used a double mount of orange and brown paper. Autumn is one of my favourite times of year, there is so much colour and inspiration in nature that gives me ideas for the crafts and activities that we do. But, I am always looking for new ideas to try out and would love to hear from you! 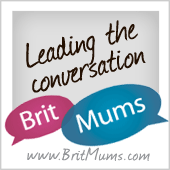 What Autumn/Fall activities have you and your children been doing! Share a photo with us on our Facebook page or use the hashtag #autumncraftsfor kids on Instagram so that we can take a look! If you would like to share a link to your own Fall activity posts please feel free to do so on our Facebook page and we will be delighted to share with our readers! For lots and lots of fantastic crafts and activities follow us on Pinterest – they are overflowing with lots of fun things to try! Adorable! My middle girl loves hedgehogs and will really enjoy making this. Thanks for the idea! Another fun hedgehog craft: shape air-dry clay into a rough oval shape. Pinch one end to make face and snout. Use a pencil to make holes in its “back.” When it dries, you can paint the body and face, then stick colored pencils in the holes to be the “prickles.” Fabulous craft and desk decor! What a great idea. Come to think of it, I think this is the first hedgehog craft I have ever seen. Those are really cute! Thanks for linking up these ideas at the Virtual Fridge!